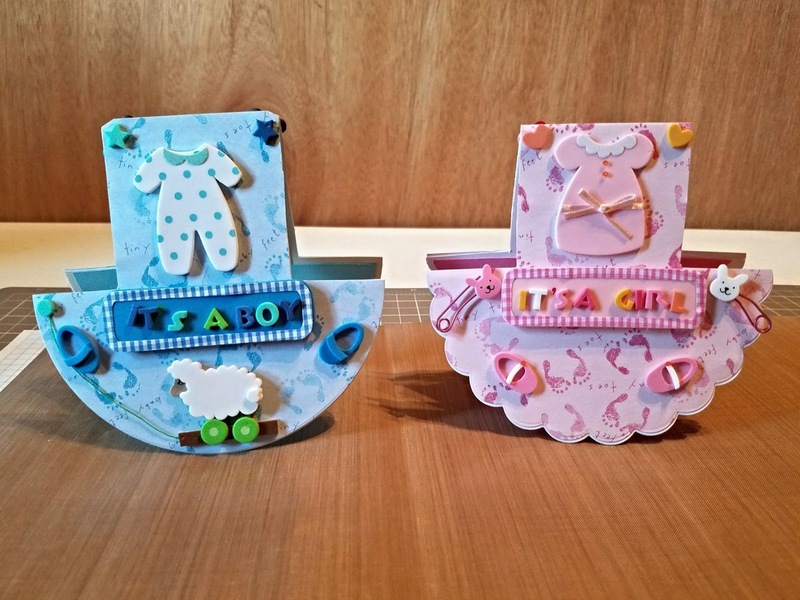 I made these two wonderful rocker cards for my niece, Bella, and my soon to be nephew, Josiah. I saw cards of this type on the crafting show, Create and Craft. I did not have their dies to make the cards so I used my circle dies and made my own. I purchased the embellishments from Michael's.